What makes a good Forex trading platform and where can you find it? In this first part 11 Forex experts talk about their favorite trading platform. They talk the pros and cons, each from their own perspective. Read part 2 here. By Forex Bonus Lab – Team of forex experts that provides essential forex tips about FX and CFDs brokers, bonus promotions, no deposit bonuses and trading in general. Deciding on the "best" trading platform is not an easy task, simply because the platform is just a tool that lets the trader get profits in a more convenient way. This task gets even more difficult without knowing the trader's intentions. E.g. what is the best car? Many of you may think of Bugatti Veyron….well, good luck driving it off road. If we have to select the best all-round financial trading software – we would go for cTrader by Spotware. The platform's UX is very easy to understand, hence the platform caters to both beginners and professionals. Besides that, cTrader features the most comprehensive library of technical indicators, chart types, time frames, and more. In addition to this, the platform (unlike many of its rivals) receives updates very often. Its web version is identical to the standalone platform, and the algo trading is done by C# language. Finally, the platform is only available with the ECN brokers, hence a trader can be sure that there is no conflict of interest. By Jarratt Davis – Jarratt Davis is one of the world’s most successful Forex traders and educators. He has developed a detailed strategy on how to trade Forex through fundamental analysis. Picking the right trading platform is one of the most important decisions a Forex trader has to make. In reality, there are two market leading trading platforms to choose from – MetaTrader 4 or cTrader. Furthermore, most Forex brokers will give their clients a choice of these two trading platforms when opening an account. So which should you choose? On the face of it, MetaTrader 4 and cTrader perform many of the same functions. But upon closer inspection, there are some important differences between the platforms. Firstly, let's consider MetaTrader. The company's flagship platform, MetaTrader 4 (released in 2005), is the world's most popular trading platform. As such, MetaTrader (which is open source software), has thriving ecosystem of Expert Advisors and custom indicators. This is especially useful for traders that want to build automated trading strategies. 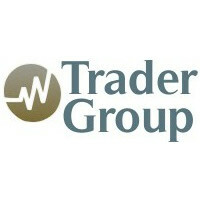 cTrader (released in 2011) is MetaTrader's main market competitor. The platform has won acclaim for its user experience and interface, along with a host of intuitive tools, such as the advanced stop loss and take profit tool. However, despite its strong UX, cTrader's development ecosystem still trails MetaTrader 4 by some distance. Your choice of platform depends on what you value. Do you prioritise community over interface? Metatrader 4 could be for you. However, if you want a platform that focuses on simplifying usability, cTrader is worth a try. By Ian Ka – Ian has been studying forex and following the market for over 3 years now. He tested multiple brokers and authored a lot of articles about trading. I believe the best trading platform is FX Choice. After analyzing plenty of Forex brokers and reading hundreds of customer reviews – FX Choice seem like they actually care more about the customer rather than making a profit. There are almost no cases of unhappy customers. The FX Choice platform is simple and easy to use. It is compatible with the MT4 interface. And lastly, the withdrawals are very quick and easy. FX Choice seem to accept all types of traders from all countries. Their customer support is very quick and useful. Both for existing customers and new customers. This is important to note because my brokers pay extra attention to the 'new customer' support chat, and almost no attention to the existing customers. The spread and leverage are fairly good as well. They allow good flexibility to all traders. 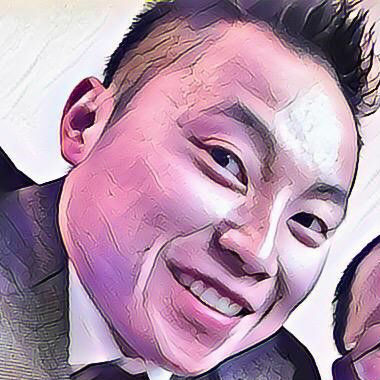 By Kou Lee – Kou Lee is part-time Forex trader who brings in his knowledge and experience to teach novice traders. He offers a monthly Forex signals service. I chose Metatrader 4 as the best platform for forex trading because the mobility it has for all users. Using a smartphone to trade on mobile is more convenient than trading on the computer for quick and easy pips. Everything can be done on the smartphone with this app from charts to signals to implementing new methods of trading Forex. MetaTrader 4 is a platform for trading Forex, analyzing financial markets and using Expert Advisors. Mobile trading, Trading Signals and the Market are the integral parts of MetaTrader 4 that enhance your Forex trading experience. The MetaTrader 4 mobile applications allow trading on financial markets via iOS and Android powered smartphones and tablets. The functionality offered on the mobile versions includes interactive quote charts, full set of trading orders and the most popular analytical tools, very similar to the desktop version. You can monitor your account status, track the history of trades, as well as buy and sell financial instruments in a single click. The mobile applications also provide additional features such as convenient chat with other traders and push notifications. Take MetaTrader 4 with you wherever you go. The world's most popular trading platform is now in your pocket! 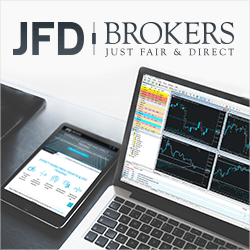 By JFD Group – JFD Group was founded in 2011 by professional traders to address the lack of transparency affecting trading. We believe everybody has the right to a just fair and direct treatment. MetaTrader 5 (MT5) is the best electronic platform for trading Forex, CFDs, stocks and futures. It offers an impressive array of tools including a powerful trading system with various order types and execution modes, professional technical and fundamental analysis, alerts, trading signals and copy trading. An all-in-one platform, MT5 allows trading 24/7 from any web browser and device. With Virtual Hosting, MT5 can even run on a remote server, when your computer is turned off, so trades are executed timely. As the successor of the MT4 platform, which was aimed at the Forex market, MT5 is the latest upgraded version with limitless symbols—unlike MT4’s maximum 1024 symbols. While MT4 uses MQL4 programming language, MT5 uses MQL5—a high-level language designed for developing technical indicators, trading robots and utility applications which automate trading. 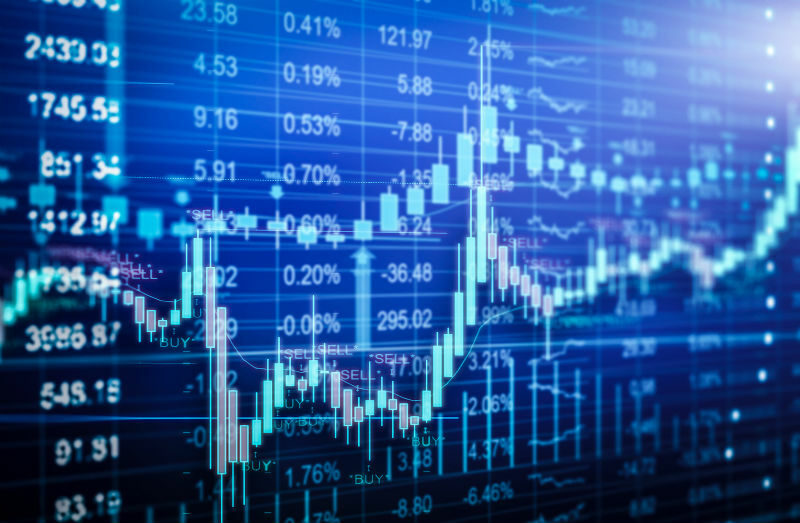 In addition, unlike MT4, MT5 supports real stock trading, connection with exchanges, and social trading, too. The 2016 introduction of the hedging option in MT5, along with all its advantages, make the MT4 platform obsolete. For more information, see our platform comparison. Translated in 31 languages, this versatile platform is an ideal choice for both companies who want a comprehensive set of brokerage services and modern traders who want a multi-functional platform that implements any strategy for the Forex and Exchange markets. By Scott Barkley – Scott Barkley is the President of ProAct Traders LLC located in Texas. 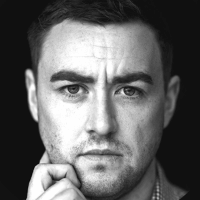 Scott is an award winning Forex Trainer who has mentored students all over the world since 2003. I was asked to write this article and before I tell you what I recommend as a trading platform, I will tell you what afflicts most traders and why your choice in trading platforms matters. We’ll assume that you have chosen a reputable broker who passes your trades automatically to the Banks, and has a reputation for tight spreads and flawless execution. So, here is the problem that afflicts most traders. WE LIKE TO COMPLICATE IT! It is important to understand that 78% of all movement you see on a set of charts is done by institutional banks. They create a structure in the market which signals to all the other traders in the world what the agenda is and where their price objective lies. Therefore, you continuously see things like trends, patterns and waves in the market. These are consciously created in the market to pursue the objective. If they were just random, then they would be just that – random. Traders, especially those new to the market are looking for a reason to enter and since they are not yet savvy to the structure making of the Big Boys (bankers), they look for indictors or moving average crossovers to give them confidence to enter the market. Initially a chart looks like chaos, but as we add things like RVI, RSI and slow stochastics as an example, these indicators seem to help make sense of the apparent chaos of the market. A trader finally settles on a set of indictors that seems to help them in their decision making and they see their slow stochastic say that the market is oversold. Not yet confident in their own analysis of market dynamics they consult the myriad of “gurus” out there and low and behold, they are saying the market is oversold. 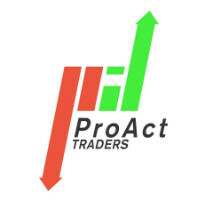 Armed with this outside piece of information that matched their indicator, they enter a trade and watch as the market continues to climb an additional 200 pips against them. They have pulled their stop since the guru and my indicator cannot be wrong it is just a matter of timing, and end up upside down for days even weeks. Sound familiar? And so, they start the search with the above in mind. They hear of someone having success with a different setting on their indicator in a forum or are now ripe for the many scams that promise you can master the market in just days if you purchase their DVD series or “Holy Grail” indicator that has been back tested to the days of the Roman Empire. And they buy in and in doing so have now done the worst thing they can do. They have complicated it. I have trained many successful traders including hedge fund managers. I have also interviewed many more and have traveled with many successful traders. In 100% of the cases the successful trader can tell me in less then 45 seconds how they trade. The professional trader uncomplicates it, the retail trader complicates it. The professional trader has learned to control their emotions when things are not going their way and instead of abandoning their methodology, they control their emotions. They make a business decision about their trade (is it still ok or should I take it off) and execute accordingly within the frame work of their analysis. With proper risk management even, a marginal strategy can produce great results. A trader would do far better, spending their time learning to become a great analyst of the market structure then all of the time they spend trying to tweak indicator settings or abandon their methodology and start all over using yet another “guru tested” way through the maze of the Forex. “Once an experienced analyst has the minimum information necessary to make an informed judgment, obtaining additional information generally does not improve the accuracy of his or her estimates. Additional information does, however, lead the analyst to become more confident in the judgment, to the point of overconfidence”. Can you see how this could sabotage your trading? So, all of that said, the most important thing a trader needs is the #1 tool in your arsenal. The tool that is going to be best at unraveling the structure of the market and the multiple factors that contribute to each day’s individual chart of their respective currency. The market is NOT complicated, but it is complex and understanding each piece of the market structure on the charts is more important then any indicator or setting. That #1 tool is great charts. As you look at your choices for a trading platform you will find those that are extremely robust (think complicating it) and have all kinds of options that theoretically will help your trading. A trader needs to resist that plethora of choices since these are designed to entice the trader in. While some tools are great (Fibonacci tools, channel tools etc. ), most are unnecessary and again make a trader who is struggling think that more is better. So, after all this what trading platform is my choice in the Forex. It is Metatrader 4 which is designed specifically for the forex. The added advantage is that once you learn the platform those skills travel with you if you move to another broker since almost all forex Brokers make this platform available for free**. Keep it simple and successful (K.I.S.S.). It is robust enough and will help the trader UNCOMPLICATE it! The most important thing is to find great charts, your #1 tool. **Well not exactly free, you pay for it each time you make a trade since it is part of the spread. By Etienne Crete – Etienne Crete Founder and Head Forex Trader at DesireToTRADE. 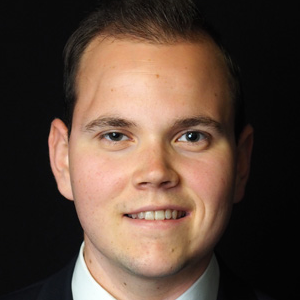 Etienne helps aspiring Forex traders develop a hands-on trading method that works for them. TradingView all the way! I have personally been using Meta Trader 4 for a long time, but I always found it was lacking some features. Although TradingView is not perfect (yet), it allows you to connect with some Forex trading brokers. I love how simple & intuitive it is to enter trades and analyse any chart. 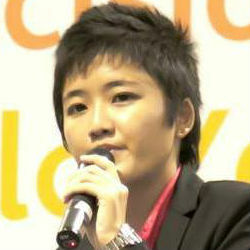 It provides everything a visual person like me would ever need..
By Karen Foo – Karen is actively involved in speaking at various conferences, seminars, expos, workshops, toastmaster clubs and publicly-held events in Singapore and Malaysia. Back in my university days when I was studying finance, I used to monitor the charts using the Bloomberg terminals a lot as there are a lot of useful fundamental data that can be derived from it, which is especially useful for equity investors. For forex, I tend to stick to Meta Trader 4 especially when I am travelling. What I like about it is its reliability and stability. It works well on my mobile too. If I am at my desk, I will use Trading View occasionally. In order to achieve this level of stability, you need to choose a reliable broker. There are a set of criteria needed to choose the right broker. One of them is to ensure that it is regulated before you deposit your hard-earned money. There is no one size fits all platform as I believe that you need to match your system with your trading platform. Certain trading strategies may require more analysis and hence a more sophisticated platform for you to conduct a more comprehensive research. As I have simplified my strategy over the years, I find that Meta Trader 4 helps me to keep the analysis process simple and straightforward. As traders, it’s important to not over-complicate the trading analysis process. The simpler your system is, the better it is. In trading, less is more. By Samuel Morton – Samuel Morton is a professional full-time Forex price action trader. 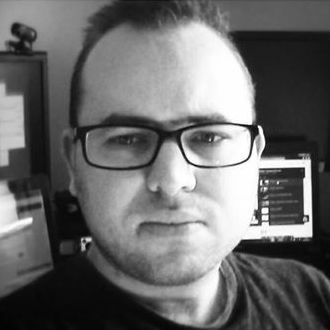 Samuel runs his own Forex price action trading room and is a Forex trading trainer and educator. I have used a variety of trading platforms during my time as a full-time trader. Some of these platforms have enhanced the trading experience, others have been frustrating. What does a trader want when it comes to a trading platform? 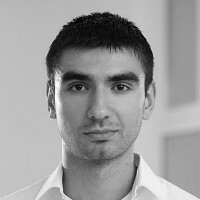 I think a trader expects what anyone expects when using computer-based software – something that is user-friendly, extremely reliable and has sufficient tools to meet the users needs. I have often found that bespoke trading platforms offered by individual brokers may meet some of the needed criteria but they are rarely reliable – I have clear memories of platforms freezing, lagging and sometimes logging me out! For this reason, I tend to stick with universal trading platforms (3rd party platforms used by multiple brokers) for analysing the financial markets. MetaTrader 4 has become a strong favourite of mine. 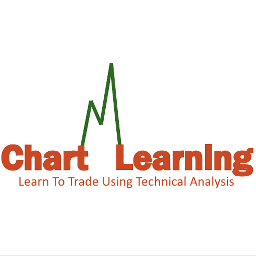 The software is looking a bit aged and clunky but I have never encountered software issues, the platform offers effortless navigation, and all my technical indicators, tools and charts are easily accessible. The MetaTrader 4 trading platform offers high customisation and is used by many retail and professional traders, meaning there are a lot of online support forums and free tutorials. With the increase of free demo trading accounts with no expiry, it is now possible to use a trading platform of your choice and use a broker for execution only. I tend to do this a lot with the TradingView trading platform (another of my favourites). TradingView offers some of the most versatile charting packages I have experienced as a trader. The web-based software is quick and the site offers charts for most global markets and financial products. 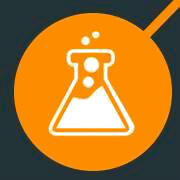 Gone are the days when contemplating a brokers trading platform was part of the consideration when choosing a broker. Find a trading platform that you like, open a free account and then find a broker for execution and account management only. I highly suggest you consider MetaTrader 4 and/or TradingView. By Jason Freeman – Jason has been trading successfully since 2011 using only his proprietary technical analysis system. He maintains a free blog to help other traders maximize their wins. The best trading platform ultimately comes down to preference, but there is a catch. You often get what you pay for. For example, budget trading platforms like Scottrade or Robinhood are cheaper but have many downsides that end up hurting your profitability in the long run. For example, these platforms will give you difficulty in shorting stocks, using margin, the speed of execution of your trades to be slower (which could cost you a few pennies per share which will add up to a huge amount over time). For these reasons is why I prefer a top tier trading platforms like Etrade and Ameritrade which have recently significantly gone down in cost. These platforms often offer the best service for those who trade quite a bit, plus their platform is reliable. Small perks offered by these top platforms matter over the long run because one small mistake will cost you a lot in the long run (for example if another flash crash occurs, these top-tier trading platforms will be much more reliable than their low-tier counterparts). By Andre Kovačević – Andre is Head of Production at Khemistry and Content Manager at Forex News Shop. He has a fond interest of all things cryptocurrencies. Essentially the brand of FX trading platform you opt for will depend on how you are looking to trade and your location. The majority of reputable or leading FX trading platforms will offer the ability to trade Forex, Equities, Commodities and with the buzz surrounding digital currencies even Crypto. The vast majority of FX traders opt to use a Spread betting platform. In the UK there are tax advantages, however this in some cases means that only those residing in the UK can spread bet on certain platforms. CFD’s offer many of the benefits of spread betting however you are liable for tax on profits. Certain platforms can also charge a supplementary commission on the execution of trades; therefore it is always worth reading the fine print. Forex news shop always advises to look at the trading history of any company or platform. We have all read stories of FX trading platforms closing down to over leveraged trades and badly managed positions so we advise that newbie FX traders read a handful of forex guides before committing their hard earned money! Many of the leading companies such as IG index, CMC markets and Plus500 offer excellent demo accounts and Forex News Shop would always advocate first time FX traders ensure they use a demo account in order to understand the complexities of trading.